Georgia, like much of the American South has its fair share of dangerous critters. Aside from the wild animals and venomous snakes that inhabit the Peach State, there are three species of spiders with a poisonous bite that can lead to serious health problems if not treated properly. The Southern Black Widow spider is among the most recognizable species in America, and it is plentiful in Georgia. The female spider is the most dangerous and is also the easiest to identify. The Southern Black Widow has two body sections, a small cephalothorax (the fused head and thorax) and a large bulbous abdomen. These spiders are shiny and black with hourglass-shaped, clearly defined red markings on the underbelly. 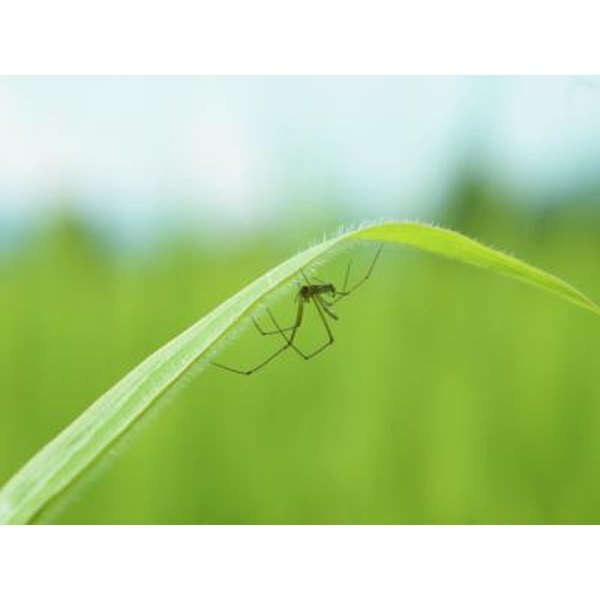 The female’s body is usually around 3/8-inch long with a leg span of 1.5 to 2 inches. Males are usually less than half the size of females. Young spiders of this species are usually orange and white and darken as they grow older. The Northern Black Widow is similar in appearance to its southern counterpart and is usually about the same size on average. The main difference in the appearance of the two species is the hourglass markings on the abdomen. While the southern version tends to have a clearly marked hourglass shape, the northern variety typically has an incomplete or broken hourglass shape and a row of red dots and white stripes on its abdomen. Most of the body is shiny and black. The Northern Black Widow is scarcer than the southern species in Georgia and throughout the Southeast, but it is not entirely uncommon to see them throughout the state. The Northern Black Widow is not typically aggressive but is protective of itself and any egg sacs present in the web. The Brown Recluse spider isn’t seen very often. As its name indicates, this spider keeps to itself in dark, undisturbed areas. This is fortunate because its bite can be quite painful and cause serious skin damage. The venom from the brown recluse's bite has been known to cause serious side effects and even death, especially in small children.